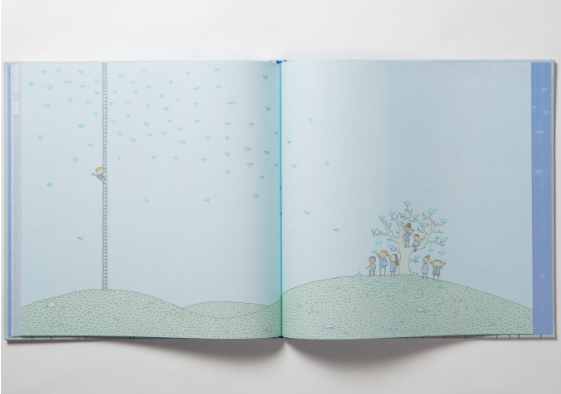 Artymowska's book, illustrated in a marvelous palette of cool blues, begins with a boy, sitting under a tree (with an origami bird in the branches...) is thinking about his friends. 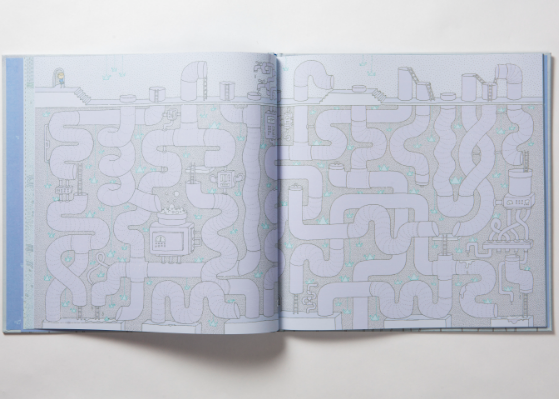 Over the course of the book, he will make his way through ten mazes (with the help of readers) to find them. 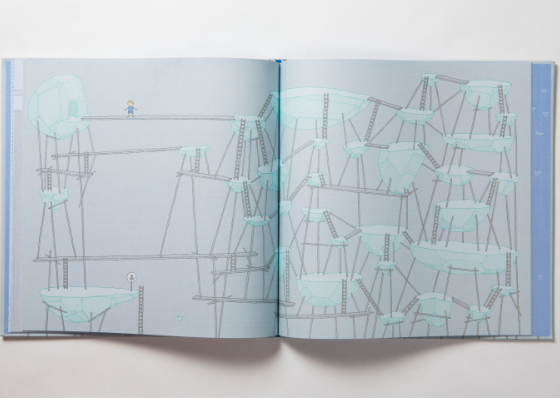 Following an arrow pointing down, the boy finds himself in a crystal cavern filled with ladders, secret pools and origami birds! 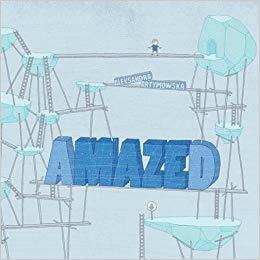 Origami proves to be a theme in AMAZED, with some kind appearing in every maze. Underground, above ground, on the water and in the air, through a forest of trees, and tunnel of tubes, and a collection of icebergs, the boy makes his way to his friends, waiting at a tree filled with origami birds. 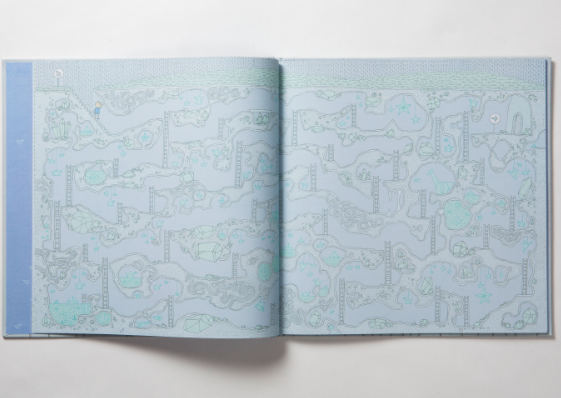 Like her newest book, Around the World in 80 Mazes, Artymowska's illustrations are playfully intricate and engaging. Readers will love poring over these pages and are sure to revisit this book again and again.